This is a selection of videos that we have taken inspiration from. We hope you can take something from watching them too. 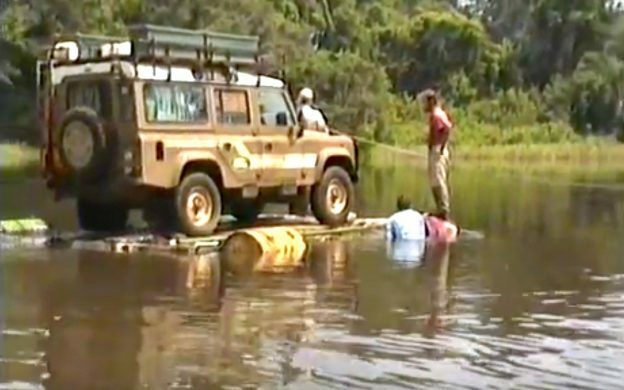 This documentary named ‘Crossing Africa and the Sahara by Truck’ is well worth grabbing a beer for and kicking back to absorb its awesomeness. This entry was posted in Videos that have inspired us on April 8, 2018 by jed@CampervanCulture. There are two kinds of people that own camper vans. There are the people who have them as a thing.. They rarely sleep in them and if they ever do sleep out it is usually in a tent pitched next to it so they don’t get the vehicle dirty. These people usually have no interest in travel and the pure freedom owning a vehicle that you can sleep in gives you. Right to Roam from Patagonia on Vimeo. This entry was posted in Videos that have inspired us on January 9, 2018 by jed@CampervanCulture. 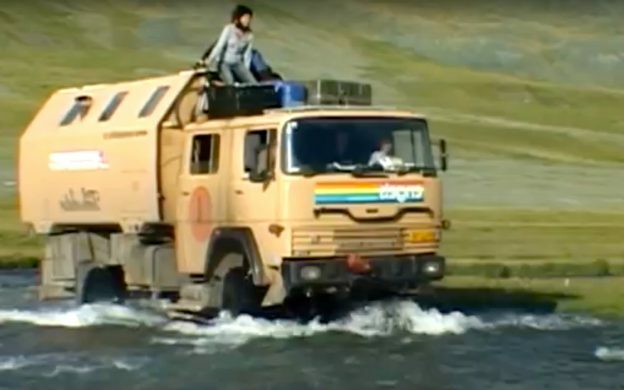 As you know at CampervanCulture.com we love to share the adventure camper films that have inspired us. Loads of them are so underground they take a lot of effort to find, sometimes even years of searching. We find the best ones ever made are from people like us who never went to film school and just tell a real life story of a trip to share with others. This one is especially good..
A normal family that have filmed and made an extraordinary short film and shared it back with normal people like us. Grab a couple of beers and a few snacks and get inspired like we did watching this.. This entry was posted in Videos that have inspired us on August 17, 2017 by jed@CampervanCulture. Four friends embark on a 10,000km journey to find the nomadic tribes of Mongolia. They plan to honour their traditions, learn from their wisdom, and tell the world about their endangered way of living. But with four people in an old army truck, it’s not going to be easy. The maker of this amazing bit of work gets the usual stick that you find from internet trolls that most probably will only venture out of the county they live in four times a year. Youtube creators quite often get this from people who have never actually contributed anything to the platform themselves. It gets a huge thumbs up from us and I am sure you all will find this short film very interesting. This entry was posted in Videos that have inspired us on May 19, 2017 by jed@CampervanCulture. It was a good few years back when I first stumbled across this video series. Quite often when on a trip you find yourself in a situation that feels like a show stopper. Some how these times when they happen feel the worst they could be but later on reflection these times turn out to be the highlight of ones adventure and the story you quite often tell people about the most. OK so not many of us end up on the roads of Zaire but for those of us that have know how treacherous they are and how quickly things can go pear shaped. In the Walkabout Worldtrack series a big show stopper happened when a ferry got washed away leaving the travellers stranded, how they felt within it is very impressive. Old videos like these are always full of inspiration for anyone in this ever changing world we live in we say. This entry was posted in campervanculture.com, Videos that have inspired us on January 2, 2017 by jed@CampervanCulture. JUSALULU is a story of an amazing family on a journey to find their roots. I remember following their blog and amazing video productions as the trip was happening a few years back. Some of the videos have been removed from public view, quite a shame I thought as they were amazing to watch and really inspiring. 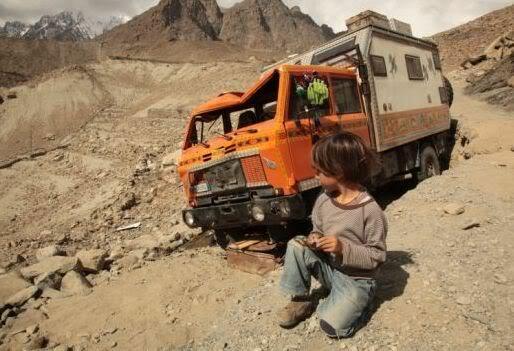 Luca, Sameena, 4 year old Lusira and 2 year old Giulio travelled a big chunk of the world in an old 4×4 IVECO cam 80 that they picked up in a junk yard and converted to a home on wheels. To read about their whole trip you must check out their website to read more about this family and the amazing trip they did and the situations they got themselves into. It is such an interesting read. As a teaser of what to expect on the JUSALULU website there are some showcase short films below to get you in the mood before you click on their page that can be found by clicking here. JUSALULU TEASER from jusalulu on Vimeo. a Taste of Tunisia from jusalulu on Vimeo. Ethiopia close up from jusalulu on Vimeo. This entry was posted in campervanculture.com, Videos that have inspired us on December 23, 2016 by jed@CampervanCulture. It is hard to imagine that the world wide web only became publicly available on August 6, 1991. Before that people who wanted to research long journeys to far away places (before the word “overlanding” itself was ever even given as a name to this pursuit) and have half a chance of knowing what was to lay ahead over the following weeks months or years was to read travel books. They were a bit thin on the ground and hard to find with the info given in them usually being out of date at the time of reading. To receive messages from family back home before email was done by a method called Poste Restante. When travelling in Africa this involved you letting the person you wanted to message you the name of a big city you would be in at a given date and get them to wright you a letter on paper and send it a month before you were due to arrive. They would send it to the post office in that city and you could go along and pick it up and have a read. In theory this should work but the stamps on the letters would often be stolen enroute and more often than not you would never receive your mail. We used to find back then that the only way of getting real time up to date information on boarder crossings, scams and corruption was to talk to other ‘travellers’ heading in the opposite direction than you were. In a nutshell you never really did know what you had let yourself in for and what you were to expect until you actually set off and met people on the road and the folks back home had no idea where in the world you were for weeks or months at a time. 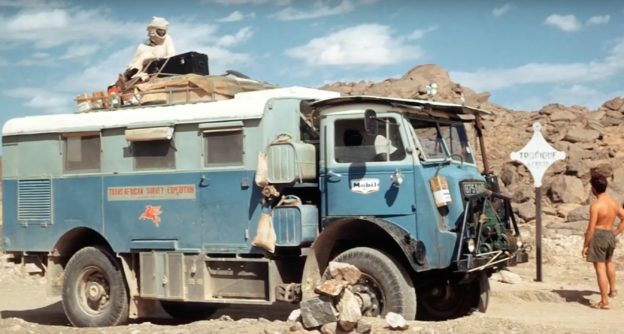 Back in 1987 three people with a tiny budget set off from Europe and travelled across 21 countries over 14 months and covered 36,000KM on some of the toughest road conditions ever seen by the trio. 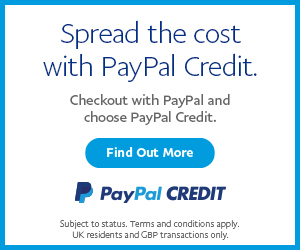 They did all of this in an old (even for back then) front wheel drive Peugeot J7 diesel van and had no idea what to expect of the road that lay in front of them. 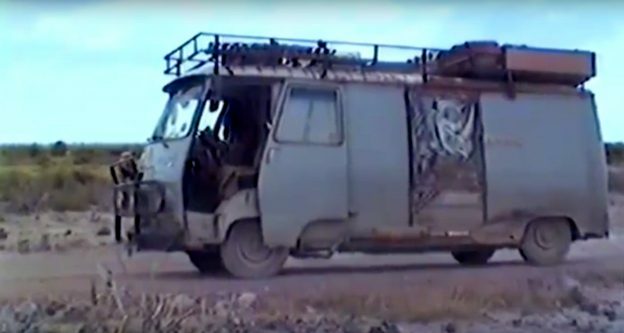 People like these are the pioneers of what internet users call ‘Overlanding’ these days. Luckily for us they filmed this trip on film using cameras and we would like to share the African Dusthopper experience with you. This entry was posted in campervanculture.com, Videos that have inspired us on December 22, 2016 by jed@CampervanCulture.